​Check out Amazon's Top ​​Rated ​Luxury Stroller! While some have price tags that’ll make your eyes pop out, we’ve also included a few affordable ones in the list below. Go ahead, take a look at the absolute BEST Luxury Strollers for 2019! I’ll just flat out say it, This is the stroller to order if you want nothing but the best for your baby! It is made up of the finest materials and features exemplary engineering ingenuity. Everything is very simple and intuitive – almost like in an iPhone. Other strollers offer a ride, but the Bugaboo Cameleon3 Elements offers an experience. Bugaboo make the strollers that makes OTHER Luxury Strollers Jealous. Okay, you get the idea – I’ll move on! Oh, before I forget: I must warn you that this is a limited edition model and hence it’s not going to be on sale forever. So if you’re interested, buy one quickly! 1) The stroller has a state-of-the-art aluminum chassis. This makes it incredibly sturdy without adding extra weight. It’s usable right from birth up to 37.5 pounds or 36 months. 2) It takes mere seconds to convert the bassinet into a seat and vice versa. The seat has a 5-point harness to ensure safety of the occupant. The shoulders straps are height-adjustable. 3) The faux leather handlebar is easy to grip. It adjusts to suit people of varying heights. The stroller has two smaller swivel wheels in the front and larger rear wheels. It steers effortlessly and with precision. 4) All fabrics are machine-washable. Your stroller will look fresh and clean for a long, long time. 6) The seat is uber-comfortable. It reclines and can be set either to the parent-facing or forward facing positions. 7) The stroller can be folded into two separate units. The seat or bassinet is available for use separately if required. Bugaboo should have throw in a few accessories at this price point. This is pretty much a flawless urban stroller. The color shade is adjusted to create a cool shadowy effect – much like on a Rolls Royce! Need I say anything else? Choosing a luxury item may feel like a bit of a gamble. People fear getting stuck with a product that’s not suitable for them or just plain inefficient. This is why real customer reviews are really helpful – they help to eliminate uncertainty and give you the confidence to go ahead and make the purchase. The 2017 Hot Mom Baby Stroller has been approved by tons of genuine buyers. Let’s find out what’s so hot about this model. 1) The stroller has a striking appearance which makes it instantly loveable. The PU leather egg seat looks dainty and fashionable. However, it is not fragile by any stretch of the imagination – The stroller can hold up to 80 kilograms or 176 pounds. 2) The telescopic pole and egg seat height is adjustable up to 34 inches. A raised seat has several benefits – it improves the babies field of vision, protects from car exhausts, increases proximity with the parent and prevents splatter of water. 3) The triangular stroller frame is remarkably stable. The 4 wheels have multiple suspension, accounting for an exceptional ride. Your baby will feel as if he/she is wafting through air. 4) The stroller seat reclines to 3 positions and can be arranged in the rear or forward facing position. 5) The stroller is SGS, CCC certified. EN1888 match standard. 6) A bassinet is also included with the purchase – this makes the stroller usable right from day one until the toddler is 48 months old! 7) The stroller comes loaded with accessories such as a rain cover, cup holder, diaper bags, foot cover, mosquito net and 1 adapter for Maxi Cosi CabrioFix and MicoMax infant 30 car seats. 8) Usable storage area. Easy to fold. The Hot Mom Baby Stroller 2017 is good looking, practical, luxurious, easy to assemble, easy to use and surprisingly good value for money! Out of Stock – will re-add if it becomes available again! ​Check out Amazon's Top ​50 Luxury Strollers! 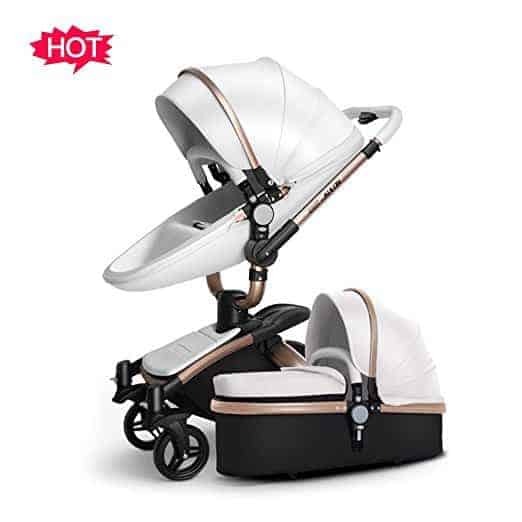 This trendy looking luxury stroller is convenient, secure and comfortable. It is suitable for infants and toddlers up to three years old. 1) Seat converts into a bassinet – usable right from day one. 2) The Sea can be adjusted to forward or parent facing position. The backrest reclines to 4 positions. Adjustable overhead canopy provides Sun protection. The seat is high – this protects baby from car exhaust and splashes. Kids enjoy a good view of their surroundings. 3) Adequate cushioning for babies. Fabrics are removable for washing. 4) Lightweight frame – the entire stroller weighs 11.6 kilograms (26 pounds) and has a maximum carrying capacity of the stroller is 25 kg or 55 pounds. 5) The handlebar is adjustable and hence parents/caregivers of different heights can push the stroller without hunching forward. 7) Dedicated storage area for supplies. 8) Easy to fold, and folds up to a rather impressive size! 1) Accessories such as cup holder, parent organizer etc are absent. 2) The manufacturer has not shared any details regarding car seat compatibility. All-in-all, The Binglinghua 3-in-1 Newborn Baby Stroller is well built and well priced too. Some accessories are missing – but they certainly aren’t deal breakers. Quality is amazing. In my own words however; Innovative – that’s the word to perfectly describe this luxury stroller. Quite a few strollers are not compatible with car seats. The ones that are, require special adapters. When not in use, the stroller simply occupies space at the rear of the car. Full fledged strollers with car seat compatibility are quite useless while traveling as they’re too heavy and bulky. The Sit ‘N’ Stroll address all of these problems – it is a car seat that converts into a stroller within seconds! The frame simply folds below the car seat – there’s no need to store it separately. Hence, it’s suitable even for smaller cars with very limited boot space. The system doubles up as a toddler booster seat and is also an FAA and CAA certified airline seat. You can take it absolutely anywhere – on airplanes, public transport and even on vacation. The only downside is that storage space is limited. However, this can be rectified by purchasing a carry pouch that hands behind the seat. With a conventional stroller, things can get very fidgety. Attach it to the stroller and then close the passenger door. Transform it into a stroller within a second! 1) Carrying capacity of 5 to 40 pounds. Height up to 51 inches. 2) The entire assembly weighs only 16 pounds and hence can be lifted without much effort. 3) A large, retractable Sun shade is part of the package. 4) The car seat is crash tested and the product comes with a six month warranty. Even though the initial price may be expensive, this is a good long term investment. 5) The handle height is adjustable and the advanced suspension soaks most bumps. 6) The high density wheels are puncture-proof. A foot-activated rear brake keeps the stroller firmly planted on all surfaces. 1) Missing accessories and less storage space. Overall, The Sit ‘N’ Stroll is perfect for those who want an urban stroller. It has innumerable uses and helps to save time and space. It is priced a bit steeply but please note that you’re paying not just for a stroller, but also for a car and airline seat. Everybody who has bought this luxury stroller loves it! 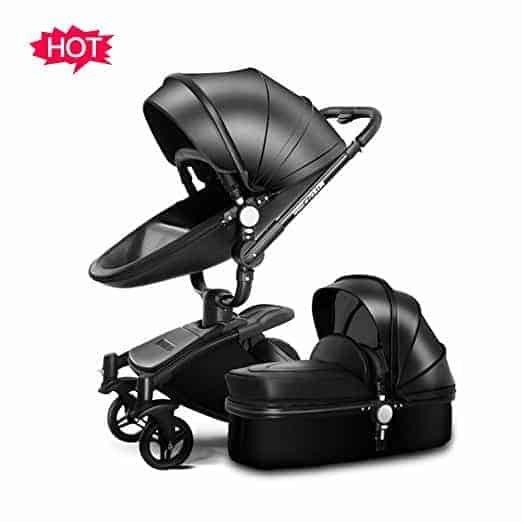 This is a great package that includes a stroller (frame, seat, wheels and canopy), bassinet, a bug shield, rain shield and also a bassinet bug shield. A bassinet mattress and cover is also part of the deal. The stroller can also be converted into a double by purchasing UPPAbaby’s adapter and Rumbleseat. 1) The Toddler seat has 1 hand recline adjustment up to 180 degrees. 2) The height adjustable handlebar is covered with premium leather. 3) The stroller is compatible with the MESA infant car seat. The car seat attaches directly on to the stroller. There’s no need to purchase any additional adapter. 4) The pivoting bumper bar protects your baby from branches and other obstacles. It too, is covered with neoprene or premium leather. 5) The stroller can accommodate a toddler weighing 50 pounds or less. The large storage basket can hold up to 30 pounds of supplies. 6) The bassinet’s inner liner and boot cover are removable and machine-washable. The bassinet is approved for night sleep so you don’t need to buy a separate one for the house. However, it is advisable to use UPPAbaby’s bassinet stand-up accessory. 7) The frame is made up of magnesium and aluminum for added strength and lightness. 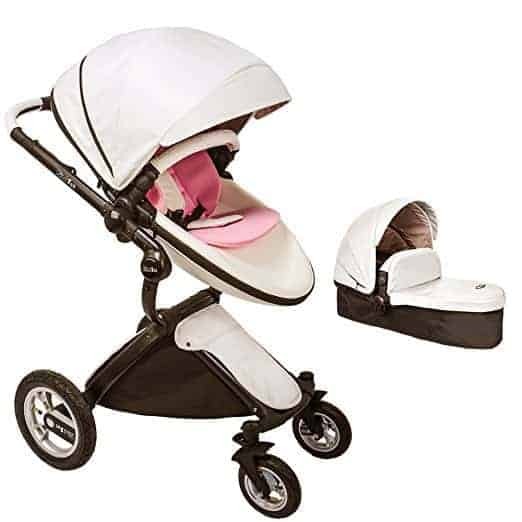 8) The stroller features an adjustable overhead canopy with UPF50+ Sun visor and a peek-a-boo window. 9) The ride is super smooth owing to front and rear suspension. 10) UPPAbaby manufactures adapters for Maxi Cosi, Chicco and Cybes infant car seats. 11) The stroller is easy to fold and assemble. No special tools are required for assembly. This one is near perfect. Not many downsides although a couple of cup-holders and parent tray would have been much appreciated. These can be purchased separately. The UPPAbaby Vista Henry is one of the most popular luxury strollers in the USA and for good reason. You do get a lot for your money and most importantly, everything works flawlessly. This is a full-fledged travel system stroller with fabulous styling! It is not cheap but hey, you do get a lot of stroller for your money. All components, ranging from the frame, the bespoke wheels and leather cover on the handlebar are crafted using premium materials. This travel system takes the term ‘luxurious’ to a whole new level. (Trust me, I am not over-exaggerating). 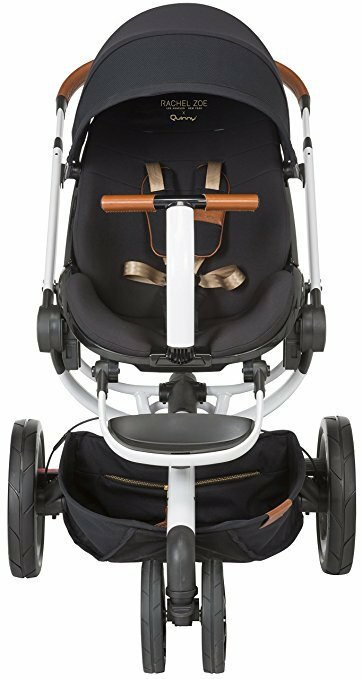 1) Includes 2018 UPPABaby VISTA stroller with leather handlebar and bumper bar covers, UPPABaby 2018 VISTA bassinet with rain and bug cover, 2018 VISTA toddler seat with rain and bug shield and the MESA Jordan infant car seat in charcoal melange (merino wool version). Car seat base is also included. 2) The stroller seat has a carrying capacity of 50 pounds. The storage basket can hold another 30 pounds of supplies. The ride quality is velvety smooth thanks to front and rear suspension. The magnesium-aluminum frame is light yet extremely hardy. 3) UPF 50+ canopy with peek-a-boo window protects baby from harmful UV rays. 4) The seat reclines to 180 degrees and the handlebar can be adjusted according to the caregiver’s height. 5) Merino wool is obtained from a special breed (originated in Spain) of ‘Merino’ sheep. It gives warmth in winter and keeps the occupant cool in summer. Also, it prevents accumulation of sweat and bad odors. Merino is one of the softest and finest varieties of wool. 6) Mesa Jordan infant car seat can accommodate a toddler weighing up to 35 pounds. It is first and the only car seat in the US to pass federal safety standards without the use of fire retardant chemicals. The smart secure system facilitates easy and quick installation. 7) The Car Seat/Bassinet attaches to the VISTA stroller within seconds. No separate adapter needed. The seat offers excellent side-impact protection and has an adjustable headrest. An SPF canopy provides Sun protection. 8) The bassinet is spacious and has air vents near the infant’s head. It is approved for night sleep. 9) Stroller stands independently when folded. 1) Needs a few additional accessories such as cup-holders, parent organizer tray etc. 2) It’s NOT cheap, far from it actually, BUT for parents wanting ONLY the best – this is one of them. The ONLY reason it’s not higher on this list is the price, otherwise it’s a near perfect set up with a TON of features and included goodies. Overall, UPPABaby’s VISTA-MESA set-up is more or less perfect as a travel system. Can be scaled up to accommodate more kids as well. Featuring a flamboyant ‘egg-shell’ design, the KID1st stroller and bassinet is comfortable, safe, convenient and practical. It’s quite affordable too, for a luxury stroller. 3) The set-up is easy – Even a pregnant mom can assemble the stroller within minutes by following the video instructions. 4) The strollers has oodles of premium leather. This gives it a really opulent feel. It can easily pass off a thousand dollar stroller even though it is actually much less expensive. 5) The Leather covered Sun canopy is shaped like the Sydney Opera House – it keeps the elements out and has a peek-a-boo window. 6) The front air tires have a 360 degree swivel feature for easy maneuvering. The rear air tires are larger (12 inches) to lend more stability even on rough surfaces. Thanks to shock-absorbing suspension, the stroller is equally at home in urban environments as well as on country trails. 7) Th high seating position gives kids a better view of the world and protects from car exhaust. 8) The stroller folds in 5 seconds! 9) Compatible with Maxi Cosi infant car seat. (adapter needs to be purchased separately). 1) As with all air tires, an occasional flat is virtually unavoidable. People who’ve bought the Kid1st Egg Shell stroller and bassinet combo absolutely love it. Not only does it do its job efficiently, it also makes a bold style statement. Be ready to be bombarded with compliments and looks if choose this model. Not to be confused with the Uppababy 2018 2 spots above, this is a best-selling model – it is a perfect encapsulation of understated luxury. UPPAbaby has put a lot of thought in designing this stroller. It’s a great stroller for toddlers and infants, and ferries kids around in supreme comfort. When kids are happy, parents are automatically happy! This stroller can last for a very long time if it’s cared for properly. It is usable right from day one so parents don’t have to buy a new stroller every year. 1) The entire package includes a stroller frame, toddler seat, bassinet and rain and bug shield for stroller and bassinet. 2) Toddler seat has one hand 180 degree tilt for occupant’s comfort. An adjustable UPF 50+ Sun canopy with peek-a-boo window protects kids from harsh UV rays. The avant-garde front and rear suspension filter out bumps and hence, the ride quality is outstanding. 3) The handlebar and pivoting bumper bar feature premium leather covers or neoprene. The telescopic handlebar is adjustable with just one hand – people of varying heights can push the stroller without having to adopt an awkward posture. 4) Bassinet mattress, base and canopy are perforated/vented for better air circulation. 5) The frame is made using a combination of aluminum and magnesium. This ensures that it is extremely durable yet light in weight. The seat holds a kid weighing 50 pounds or less while the storage basket is good for another 30 pounds of supplies. 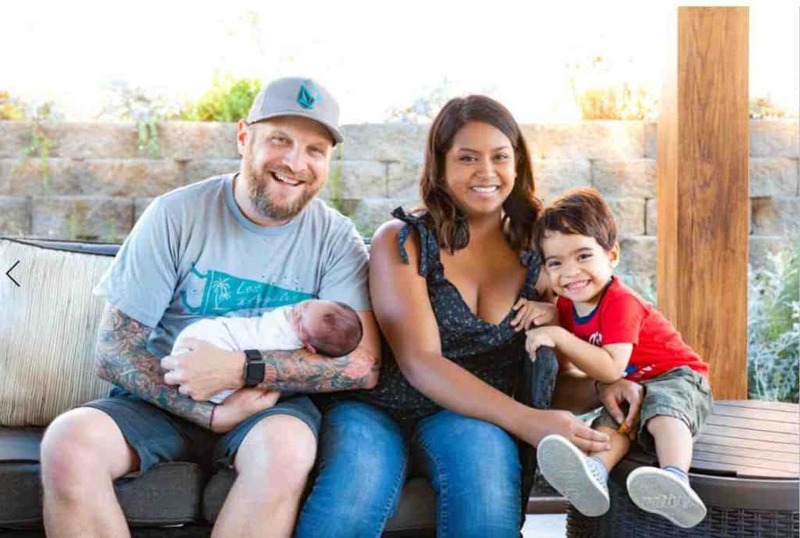 6) Stroller accepts Mesa infant car seat without the need for an external adapter. The switch latches directly on to the frame. 7) The stroller is compatible with a variety of other makes of car seats such as Chicco, Maxi Cosi, Nuna, Cyber etc. Adapter needs to be purchased separately. 1.) If you want to use it as a double, you need to spend extra on adapters and a rumble seat. The UPPABaby 2017 stroller is highly sought-after luxury stroller. The rave reviews speak for themselves. This Peg Perego model is known as the Book because it opens in one quick ‘pop-up’ motion and folds flat like a book. It is made in Italy – so it’s not a surprise that the stroller blends a classy modern design with practicality. The package includes a frame, stroller seat and a bassinet. All components are laden with scores of features – let us take a look at some of the major ones. The stroller folds compactly with the bassinet or toddler seat attached to the frame. It is very easy to fold and unfold with just one hand. The bassinet and toddler seat can be attached/removed within seconds. 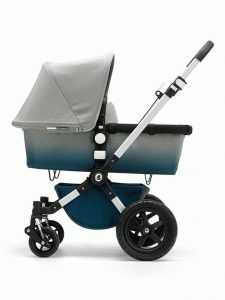 Use of Prima Classe materials make the stroller comfortable, durable and luxurious. The polyutherane wheels with ball bearings can be either be set to swivel or lock via a remote switch, which is located just next to the seat. Stroller can be locked via rear step-on brakes. The handlebar is adjustable and the child bumper bar can be tilted to the side for easy entry and exit. The toddler seat can be attached in rear or forward facing position and comes with an adjustable footrest and 5 point safety harness. Both the bassinet and child seat have canopies and UPF visors for Sun protection. The fabrics on the canopies can be folded to reveal a mesh lining. This aids in air circulation on warm, humid days. The bassinet mattress is also included and is approved for overnight sleep. The bassinet has a rounded bottom – parents the rock the baby gently as it goes to sleep. Bassinet also has an adjustable headrest. This keeps the baby’s head elevated and prevents acid reflux. The stroller locks automatically and stands on its own when folded. The Peg Perego Book Pop Up is compatible with Primo Viaggio infant car seats – no adapter necessary. Adapters are also available for Maxi Cosi and Cybex car seats. Please note that car seats and adapters are sold separately. The ride is smooth thanks to shock-absorbing suspension. The stroller pushes forward effortlessly. A spring basket has been provided for supplies such as toys, diapers etc. Excellent reviews give parents the confidence to buy. Honestly, just one – The stroller is imported and hence, it is expensive. Accessories such as cup-holders available but only as optional extras. This bumps up the cost even higher. Overall, this is a highly capable and sturdy setup. It’s quite light too and can easily carry up to 50 pounds. The Book Pop Up is usable right from birth and thanks to its premium build, can easily last for several years. No wonder then, that despite a high price tag, it’s the luxury stroller of choice for countless families. This stroller is perfect for those who want a luxury stroller without paying through their nose. It is well-designed and feature loaded while still remaining fairly affordable. It does all this while managing to exceptionally good – your neighbors and friends are going to think that you paid top dollar for it! Comfort is the most important aspect of a stroller and this model has it nailed perfectly. The ride is pliant thanks to the shock-absorbing front swivel wheels. The single spoke rear wheels are larger – their design will turn many heads. The toddler seat can be set to multiple positions. It also converts into a carry cot (bassinet) for toddlers. The seat can be arranged in a parent-facing or forward facing position. The stroller weighs less than thirty pounds and has a max payload of 56 pounds. The aluminum frame is lighter than conventional steel frames and it is 100% rust-proof. Adjustable handlebar and removable bumper bar. There’s an extra large storage basket for supplies plus a rear pocket and a mesh pocket for bottles. The seat back can be rolled-up to reveal a mesh lining. The rolled fabric forms a comfy headrest for the toddler while the mesh improves air-flow. Stroller is not compatible with infant car seats. No adapters are available. Overall, this is a good, budget-friendly stroller for those who don’t need travel system compatibility. The manufacturer makes up for this by providing a lifetime warranty on the wheels though. If you buy this stroller and the wheels break while you’re using it, the manufacturer will replace them for FREE! Stokke is a Norweigian company founded way back in 1932. It specializes in children’s toys and accessories. Products are well made and highly durable. The stroller has a carrying capacity of 45 pounds. It is suitable for babies aged 6 months and above but can be used from birth by purchasing the Stokke Carry Cot. The large air-filled tires offer a splendid ride. The stroller glides over bumps without batting an eyelid. It can handle a variety of terrain such as gravel and grassy patches, pavements, cobbled paths etc. Tires provide good traction even on slippery surfaces such as smooth tiles of malls, wet roads and so on. Although this is not officially sold as a jogging stroller, many use it as such with no problems! The quality of construction is impeccable. The stroller more than justifies its high price tag. Seat is very comfortable. It has a 5-point safety harness and adjustable backrest. It can be attached to the frame is several front and rear facing positions. The stroller accepts car seats but via an adapter that is sold separately. Nuna Pipa car seats can be attached without an adapter. Since I wasn’t able to find too many pictures of this stroller, check out this video I found on YouTube of a Happy Mom Showing Off her Stokke Trailz. The already high price tag is driven even higher if you want to purchase a carry cot and a car seat or adapter. Also, air tires are bound to go flat at some point. With all said and done, The Stokke Trailz is an expensive but very high quality stroller – it is suitable for both urban and rural landscapes. This stroller has the finesse and build quality to justify its 4 digit price tag. It looks futuristic and cute, like a robot that rolled out of an alien spaceship! To be honest, this is not a feature loaded stroller. Many things need to be purchased separately. Even the carrying capacity is not much as just over 37 pounds. The seat is not very tall. So you’re mostly paying for the quality of construction and performance. Thanks to Mima’s patended mechanism, the stroller goes from being a push chair into a carry cot in a quarter of a minute. In fact, the carry cot is stored within the seat itself – So there’s no need to store it separately. This is convenient and saves space and time. Stroller is usable right from day one. When your baby is 6 months old or can sit up unsupported, simply switch from the carry cot mode to pushchair mode! The seat has a 5 point safety harness and can be arranged in front or rear facing position. It has three recline angles for occupant’s comfort. The child can simply sit up, rest or go to sleep. There are two seating heights – standard and high. The tall seating position gives the kid a better view of their surroundings and protects from car exhaust fumes. The faux-leather has an luxuriant feel and is easy to clean. Just wipe it down with a slightly damp cloth! The Sun canopy is retractable to allow partial or full shade. The handle is height-adjustable. There’s a storage basket for essential supplies. The stroller folds easily and stands unaided – just press a button and engage a lever to fold it. To unfold, simply lift the handlebar and the stroller comes to life like a flower that’s blossoming. The stroller can be folded with the seat attached in the forward facing and upright position. Cons: High price, low payload. The Mima Xari is a little difficult to find online – so if you like it, grab one quickly before all units sell out. We found a FEW on Amazon, but they may be sold out by the time you’re seeing this. Check the link below for stock. This dainty unit has been designed by Rachel Zoe for Quinny. Despite having an extortionate price tag, the Jet Set Moodd is one of the top selling luxury strollers in the US. This speaks volumes about its dependability. The stroller was built for those aspiring to lead a Jetsetter lifestyle. The design also draws inspiration from vintage leather luggage. I personally think that it looks like a funky gadget from the Jetsons cartoon! The stroller has 4 wheels but looks like like a three-wheeled jogging stroller. The front wheels are close to each each and function as one single unit. This makes the stroller very easy to maneuver. It can navigate tight turns and crowded shopping centers without a problem. The stroller folds easily and has an automatic unfolding mechanism – simply press a switch and the frame transforms into an upright stroller. The wheels come off for convenient storage and can be re-attached within seconds. 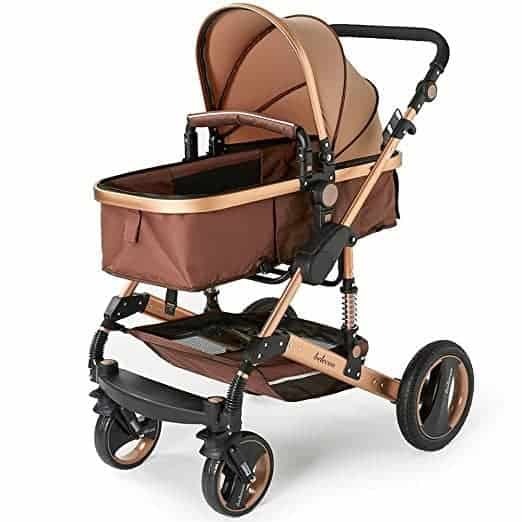 The stroller combines high grade cognac leather with exquisite gold detailing and black and white fabrics. It has been tailored to precision and has amazing head-turning ability. It’s THE stroller for those who love a bit of attention and appreciate fashion. The Moodd is compatible with the Maxi Cosi Mico Max infant car seat. If you want a car seat that is safe and stylish but don’t plan to attach it to the stroller frame, Quinny recommends the Pria Convertible seat. It has a super plush ride and an impressive carrying capacity ranging from 14 to 85 pounds. Despite being very sturdy and planted, the stroller is very light at just a shade under 19 pounds. It has a storage bin and can take a total weight of up to 50 pounds. Rachel Zoe has designed a matching diaper bag for the stroller. Surely you don’t want to push such a cool stroller while carrying a lacklustre bag. Assembly is straightforward and quick (no special toolbox required) but you may need to read the instructions to learn how to use the unfolding mechanism and put the other components together. Seating position is nice and high. Toddlers can hold on to the bumper bars and enjoy their urban expeditions. The stroller does everything that it promises. There are no matching accessories such as parents trays and cup-holders. I feel that the reason for this is that they would spoil the chic look. The Quinny Rachel Zoe Jet Set Moodd has lots of positive reviews from customers. Many people say that it draws out compliments from others every single time they go out with it. This luxury stroller is ever ready to take on the high streets. This stroller looks like it’s from out of this world! The seat pivots around the frame – it can be tilted to 15 to 45 degrees. This means that the child can look sideways while the stroller is being pushed forward. Stroller is equipped with shock-resistant rubber wheels that account for a plush, refined ride. The front wheels swivel 360 degrees, ensuring easy maneuverability. The stroller can be locked in place by engaging the handbrake. The seat is extremely comfy and reclines to three positions. It can fall flat to 178 degrees and allow the toddler to nap. The stroller has a durable. 100% rust-proof aluminum alloy frame. It can accommodate a child up to 55 pounds. Since the bassinet is part of the combo, the stroller is usable right from day one. The toddler seat is reversible and hence the child can ride in parent facing or front facing position.The seat is high – this protects the occupant from car exhaust and dust. High quality PU leather is waterproof. Wheels are explosion-proof. Sizeable storage area for kids’ supplies. The handlebar is adjustable – caregivers of different heights can push with ease. Taller people do not have to hunch forward. 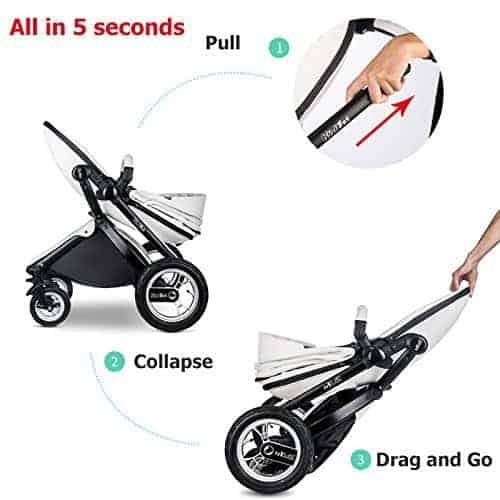 This Luxury Stroller has a quick 3-step folding mechanism. Seat and bassinet have retractable canopies for Sun and wind protection. Bassinet has a leather footmuff to shield against chilly winds. Stroller can be converted into a travel system. Here is the link to the car seat. Stroller is not compatible with other makes of car seats. Accessories such as cupholder are missing. The Springbuds Stroller and bassinet combo ticks most boxes for most parents. It’s also quite affordable for a luxury stroller! Thanks for making it this far. I hope that you had a good time going through the list. If I’m being honest, I’d say that because luxury strollers feature attractive designs and premium materials, they tend to atract a higher end clientele. I can’t blame them, generally speaking – these luxury strollers are more comfortable, durable and efficient than everyday strollers. However, all this lavishness, bling and flawless engineering comes at a price (pun intended). 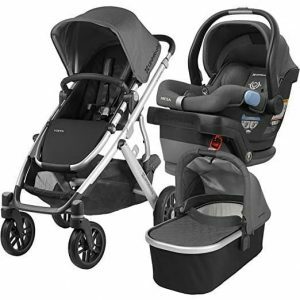 Luxury strollers typically include loads of features and accessories (such as bassinets, car seats etc.) But, believe it or not – they are more value for money than you may think. They also last a lot longer. ​Check out Amazon's Top ​​Rated Luxury Strollers!